WDAM TV of Hattiesburg, Miss. is reporting that three yet-named players were shot this morning after an altercation at a Hunt Club. 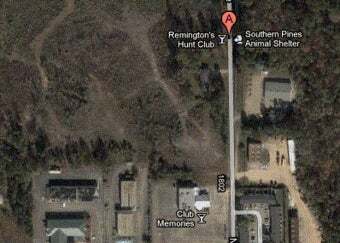 A Hattiesburg police spokesperson said an altercation took place inside Remington's Hunt Club off Highway 49 around 1:20 a.m. which then moved outside of the night club where one person opened fire injuring three. Southern Miss has declined comment. The conditions of the players has been described as critical. Coach Larry Fedora, staff, and team members have been spotted at Forrest General Hospital since early Sunday morning. According to the Hattiesburg Police. no arrests have been made, and the shootings are under investigation.